Do you think Miss Bour may be right? All my posts go directly to LinkedIn, Google+, FaceBook, Twitter and all my followers on WordPress. After that, they can be passed on by other people. Luckily, I am not a bad guy and I don’t sell pictures. 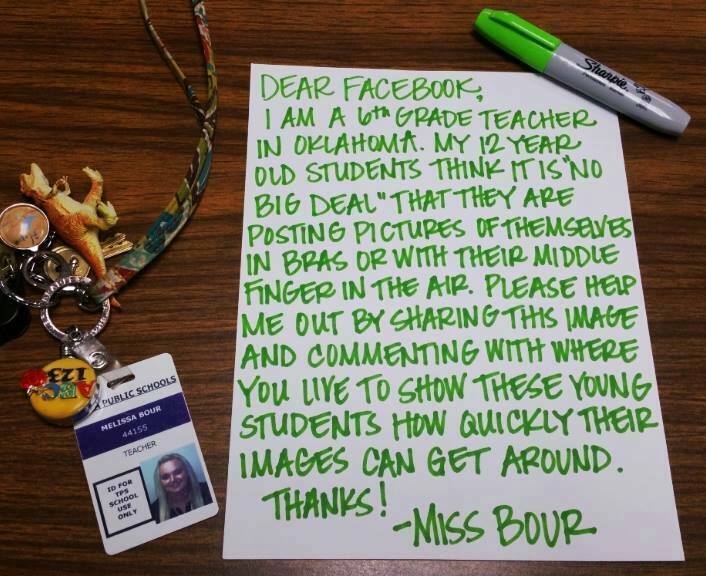 I don’t subscribe to fear, but be mindful that once on FaceBook, your pictures are out of your control. I don’t want you to feel fear, guilt, shame or bad in any way. Be positive and loving. Choose to be happy. And say Thank You for all good teachers.